Members of the Lockwood Education Committee, including School Superintendent Tobin Novasio. Rep. Sue Vinton, center, was among revelers who celebrated the passage of Lockwood’s bond for a new high school. Numerous youngsters were among the audience as future graduates of Lockwood High School. Originally published in the 5/11/18 print edition of Yellowstone County News. 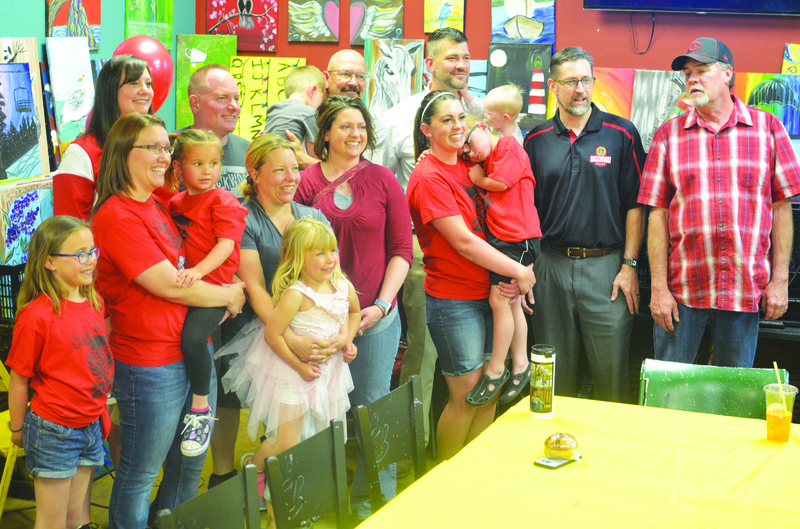 LOCKWOOD — Smiles were all about and cheers were loud as Lockwood residents, parents, educators and civic leaders heard the news that the bond election for a new high school had passed – and not only passed, but did so in a sweeping fashion. 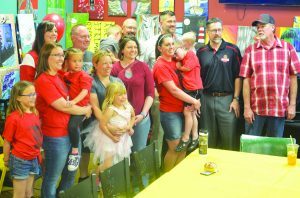 They had all gathered at Yellowstone Coffee & Canvas in Lockwood, optimistically decorating the room with celebratory balloons in anticipation about what many thought would be good news. 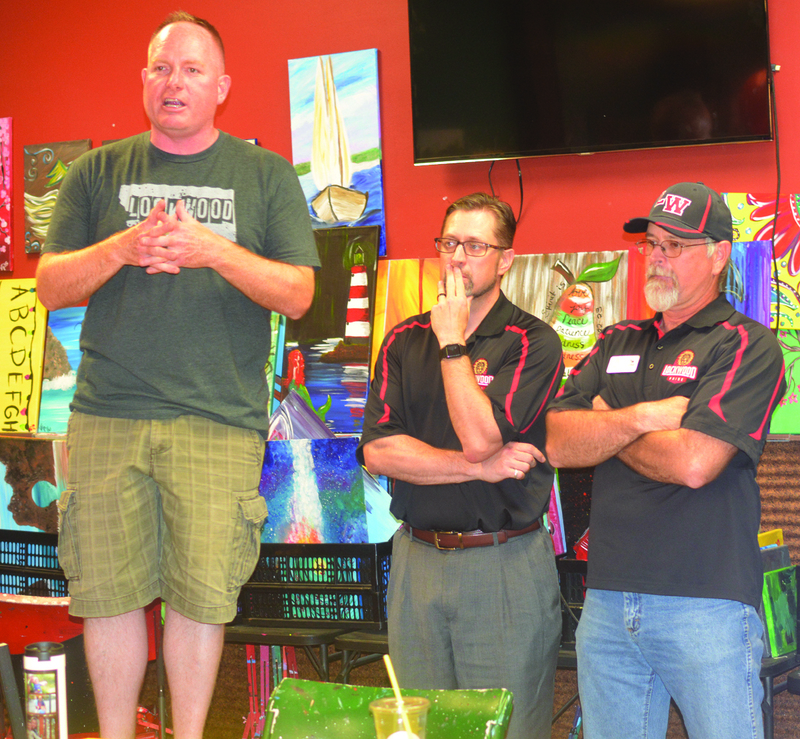 Chad Hanson, chairman of the Lockwood Community Education Committee, spoke to the crowd, as did Lockwood School Board Chairman Tim Sather and School Superintendent Tobin Novasio. About 63.5 percent of Lockwood voters supported the $49.9 million measure to build the new high school as well as make some badly needed repairs to existing school structures. With voter turnout for school elections countywide almost at 50 percent, Lockwood voters in support of the bond were 1,495, with 856 voting against it. “It wouldn’t have happened without all of you,” said Superintendent Tobin Novasio, who stood up on a chair to speak to the crowd of some 50 people. He was joined by comments by Lockwood School Board Chairman Tim Sather and Chad Hanson, who headed the Lockwood Community Education Committee, which worked over the last year to garner support for the project. “This is one of the biggest things to ever happen to our community,” said Novasio. 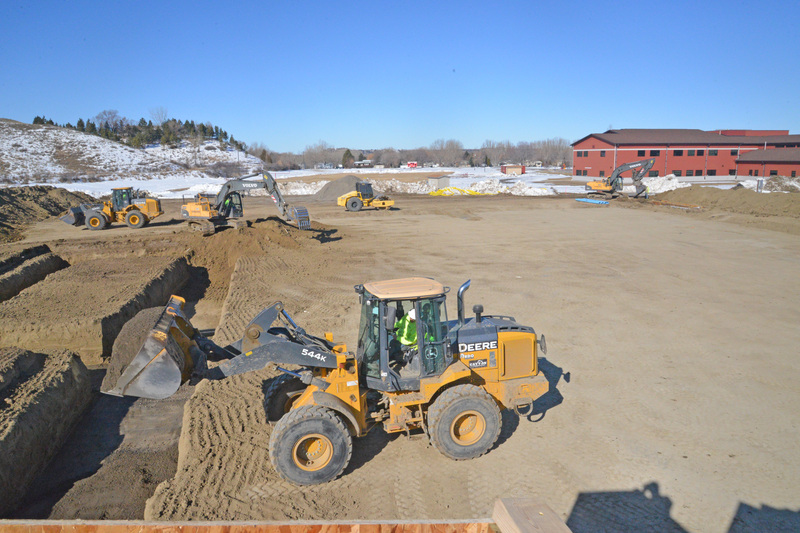 Sather pointed out that Novasio has gone far beyond typical superintendent duties in advancing the board’s decision to expand the Lockwood school district, and that that work effort will only continue as the actual building now commences. Throughout the campaign, many people declared that having a high school is going to be transformative for the community in many regards. 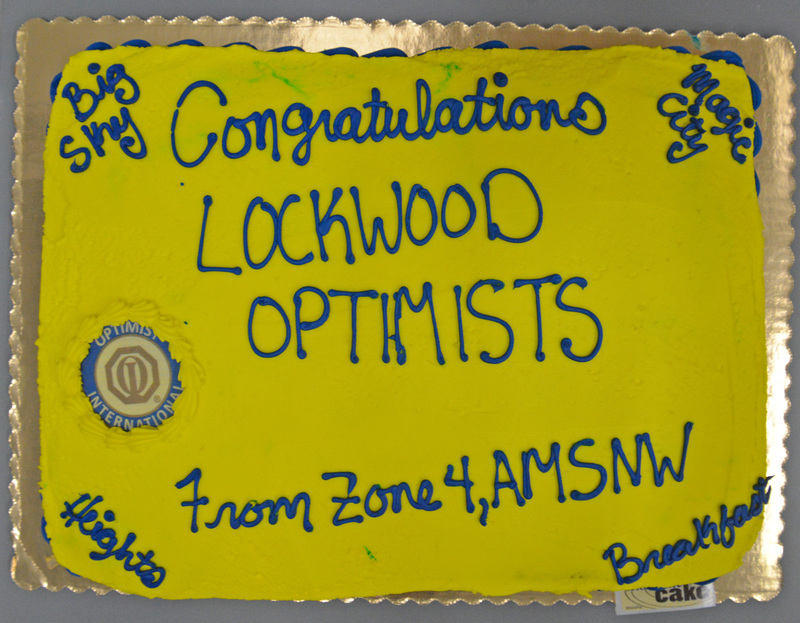 One of the biggest motivators for having their own high school district, for Lockwood educators and parents, is to reduce the high school dropout rate among their students. The high school has also been pointed to as a likely economic stimulator for the community, one that will increase property values and other business opportunities. Novasio gave much credit to Rep. Sue Vinton, who carried the successful legislation that allowed Lockwood residents to determine their own path, in whether to form their own K-12 school district. The struggle to get a high school for Lockwood was one of many years, as efforts to change a ban on new high school districts in the state met with resistance in the state legislature. Former Sen. Taylor Brown carried a bill “almost across the finish line,” only to have it rejected at the last minute. Other schools in the state were part of the effort, which in large part was initiated by East Helena, said Novasio. East Helena passed its bond for a new high school, too, on Tuesday, by 61 percent. Novasio said that their collaborative cooperation with East Helena helped pass both districts’ bonds. He suggested that the two schools should eventually have a special sports competition to memorialize into the future the special relationship the two districts have forged. Hanson was in the company of his son on Tuesday night, who he said would now be able to graduate from a high school in their own community. Many other children were among the crowd, all likely prospects of being among the first graduates of Lockwood High School. Hanson said earlier that the responses from their canvassing gave him confidence that the bond would pass. The new Lockwood K-12 School District will begin existence on July 1. Work begins to build the new school immediately. Novasio said, … read full article in newspaper or by subscribing online here.